Compromises are often made when you buy a property, but accentuating the positive and changing the negative can give you the home you always wanted. 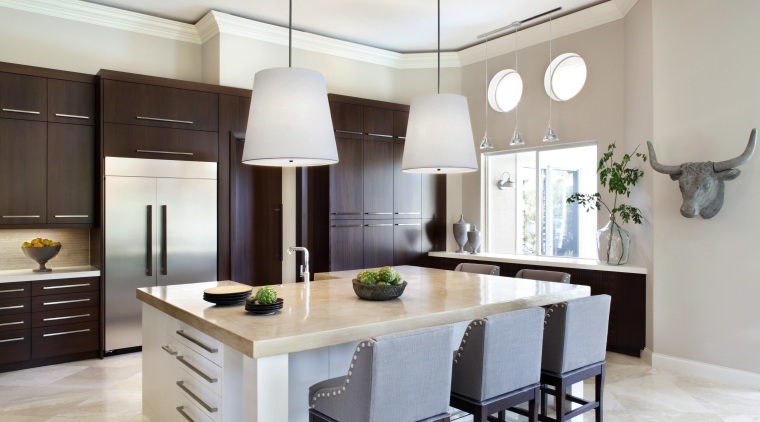 The owners of this house loved the open, flowing layout of the interior, but they weren’t keen on the heavy, traditional Mediterranean-style cabinetry in the kitchen, says designer Krista Watterworth Alterman. 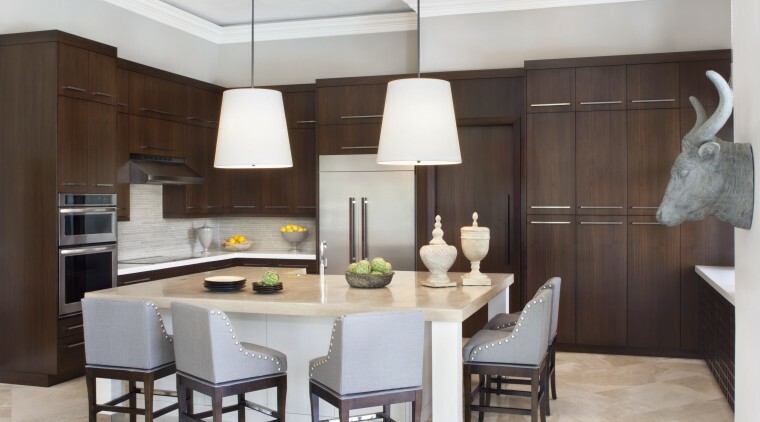 The large island provides ample room for several bar stools. The sink is set lower that the main benchtop, which helps to conceal kitchen clutter. Alterman says her clients wanted a post-modern look, without sacrificing comfort. The kitchen needed to be fresh, vibrant and contemporary, and have plenty of storage. Alterman’s solution was to utilise every inch of space to make the kitchen larger. A multi-functional island was introduced, providing a generous work space, casual dining area and a place for family and friends to gather and socialise. The splashback in this remodelled kitchen features light-toned tiles that match the colour of the stained concrete benchtop on the island. Alterman says the main challenge was marrying the traditional elements of the home with the contemporary furniture and cabinetry. Storage has tripled with the new cabinets. 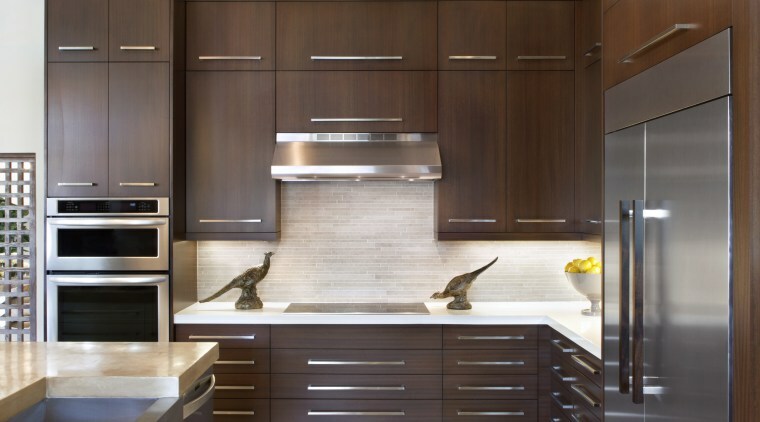 There are custom drawer inserts for the clients’ collections of cutlery, glassware and ceramics.